Julia runs PC G.P. 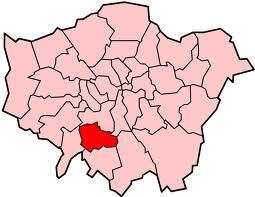 which is a unique computer support service, based in the Streatham Hill area of SW London. Providing an in-home/office service, as well as remote support using LogMeIn (where possible) also allows her to troubleshoot many computer problems, such as internet and printer connections, which would otherwise be extremely difficult, if not impossible, to resolve. She doesn’t believe is a “one size fits all” service, taking great pride and satisfaction in tailoring the setup to the individual client’s needs and priorities in their own home or small office. She has worked in the field of IT support for over 12 years as an IT Support Co-ordinator for a medium sized company, supporting their network which involved helping over 20 staff using Windows based computers with MS Office and Blackberry smartphones. Julia has undergone an Enhanced CRB check (most recently updated in 2012) in order to become a volunteer for IT Can Help (a service which offers offer free computer help to the disabled), and can provide many personal and professional referees on request.